When it comes to music reviews, I pick albums that are related in some way to video games since that’s what this blog is about. However, I just love this EP so much and want to talk about it, so here we go. 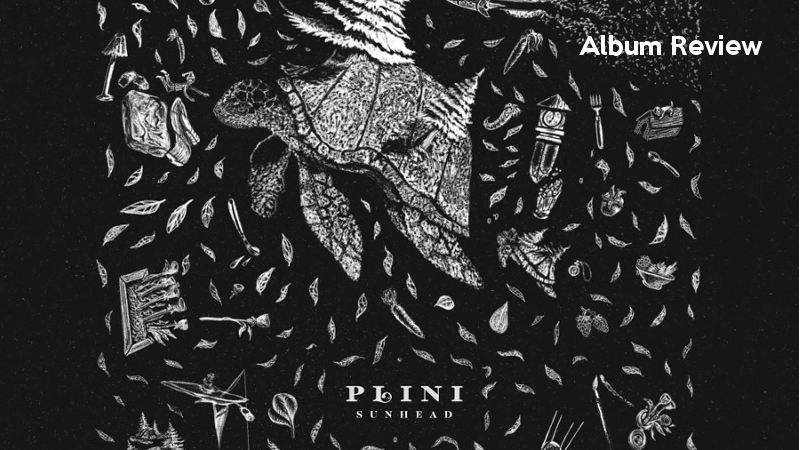 Australian prog rock/metal guitarist Plini just put out his new Sunhead EP today and boy is it good. Sunhead is a twenty minute long, four track EP that I think does a good job of showing off Plini’s various styles. From big melodic vibes, to the more atmospheric, to the straight up jazzy, this short EP feels like it pulls a bit from all his past work. Opening track “Kind” feels like something off of 2016's Handmade Cities, Plini’s first full-length release and one of my all time favorite albums ever, with its big, djenty grooves and soaring lead guitars, and of course those crazy technical drum lines, but those killer drums played by Chris Allison are ever present on this EP. The track starts a little slow before breaking into a big swell of grooves. The mid section is a bit more chilled out, showing off Plini’s signature upbeat melodic vibes. Then it breaks out into the soaring lead guitars over the big groove for the big finish. A perfect way to open this EP, if you ask me. Track two is “Salt + Charcoal,” which was released as a single a few months ago. It’s been updated with rerecorded drums and some higher quality production that makes it a million times better than it already was. This track leans heavy on the bass, showing off The Helix Nebula bassist Simon Grove’s prowess. He’s played bass on the past few Plini releases and never fails to impress. “Salt + Charcoal” is a bit more atmospheric than “Kind,” with chilled out synths and background vocals that give it a vibe like that of his “Things” trilogy of EPs. Track three, “Flâneur,” is my personal favorite song on the EP. This is easily the jazziest song Plini has ever released. It just has this slow, stead groove to it, and Plini’s guitar work is complimented by saxophone performed by John Waugh and piano and keyboards performed by Anomalie. There’s a crazy keyboard solo, an awesome pair of sax solos, and just a whole bunch of jazzy goodness. It’s very different from what Plini usually releases is many ways, and shows that he’s not afraid to keep pushing the limits of his creativity. The EP closes with the title track “Sunhead,” another slower track. It’s got a good groove to it, as well as some strong melodies, not to mention the ambient synths that give a neat wall of sound effect. There’s a short bass solo too, as well as a guest guitar solo performed by Tim Miller. Overall, it’s a really good track, but I think it’s a bit overshadowed by the first three songs on the EP. Sunhead is another fantastic release from Plini. Much like I say every time he releases new music, my only complaint is that I want more. If you like progressive rock or metal, jazz, instrumental music, or, if I’m being quite honest, a fan of music in general, this is definitely worth checking out. Sunhead may be a short twenty minute EP, but each and every one of those minutes is an experience. It’s out now on basically every online music platform, so go give it a spin and experience it for yourself! DisturbedShadow is a fan of video games and heavy metal music. You can can find more of his writing here and you can follow him on Twitter @DisturbedShad0w.